For this recipe add your berries to an airtight container more than big enough to hold a fifth of rum, about 36-40 ounces should be good. Pour the booze over the fruit and seal. Store in a cool dark place for at least a few days or up to two weeks. You will see the color leach out of the fruit over time, that is supposed to happen. Once it has set the desired length of time, strain out the fruit and store the rum in an airtight container. Reserve the fruit, storing it in the refrigerator, for use in my Triple Berry Boozy Smoothie. It packs a real punch! For a refreshing cocktail prepare 1 cup simple syrup by adding 1 cup sugar and 1 cup water to a small sauce pan. Bring to a low boil, stirring until sugar the is dissolved. Remove from heat and cool completely. Mix 2 ounces Triple Berry Infused Rum with 1.5 ounces simple syrup and a squeeze of lemon in an ice filled glass. Top with sparkling water. I hope you like this Triple Berry Infused Rum as much as my crew does. If you love these delicious bite-sized recipes, you can find more like it by checking out my Cocktail section! For recipe inspiration delivered to your inbox, subscribe to my newsletter, follow my photography journey on Instagram, and for generally inappropriate humor follow like me on Facebook! 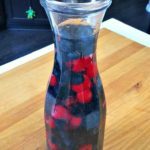 You can enjoy then full flavor of summer berries when you infuse your favorite quality white rum and make this Triple Berry Infused Rum that is perfect in cocktails, desserts, and even smoothies! 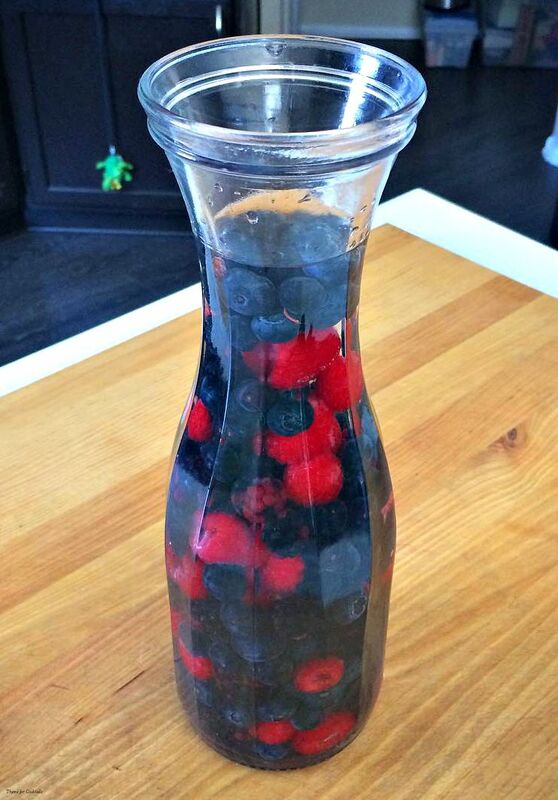 Rinse berries throughly and add to a large, airtight container 45 ounces or bigger. Pour rum over fruit. Seal container and store in a cool, dark place for at least 2 days or up to 1 week. Strain out berries and return rum to container. Seal and store in refrigerator until ready to use. Berries can be refrigerated for use in other recipes. Tip - For a refreshing cocktail prepare 1 cup simple syrup by adding 1 cup sugar and 1 cup water to a small sauce pan. Bring to a low boil, stirring until sugar the is dissolved. Remove from heat and cool completely. Mix 2 ounces Triple Berry Infused Rum with 1.5 ounces simple syrup and a squeeze of lemon in an ice filled glass. Top with sparkling water.